San Jose, Calif. – Unity Care is proud to announce their Silver Anniversary and Annual Gala event – YouthLive! (unitycare.org/youthlive) with Keynote Speaker, Stedman Graham. This year’s celebration will take place Saturday, August 25, 2018, purposefully marking 25 years since Unity Care opened their first home for foster youth. 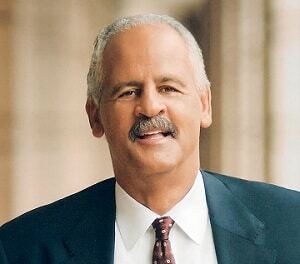 About Stedman Graham: Stedman Graham is a highly praised author, educator and entrepreneur, as well as the CEO of S. Graham & Associates. Known worldwide for his trademarked work in Identity Development, his Identity Leadership programs driven by a Nine-Step Success Process™, are based on the philosophy that individuals hold the power to their educational, career, and personal success. Mr. Graham has authored 11 books, 2 of which are New York Times Bestsellers, and has co-founded several nonprofit organizations dedicated to building stronger communities and supporting the leaders of tomorrow. He travels the globe instructing audiences, including world leaders, CEOs, professional athletes, military members, and students. Mr. Graham holds a Bachelor’s degree in Social Work, a Master’s degree in Education, and is a veteran of the U.S. Army. About Unity Care: Founded in 1993, Unity Care serves over 7,500 Bay Area foster youth and families annually through 22 unique programs, delivering culturally proficient and trauma-informed services centered around Unity Care’s “5 Pillars of Success” – HOUSING, EDUCATION, EMPLOYMENT, WELL-BEING, and UNCONDITIONAL CARE. To learn more about Unity Care programs and upcoming volunteer opportunities, please visit www.unitycare.org or follow us @UnityCare #UnityCare #25YouthLive!